Vogo, a Bengaluru-based scooter rental startup, has launched a ‘One-click’ solution for its scooter rental services. Customers can now book a petrol or electric scooter of their liking through the Vogo app and unlock it remotely via Bluetooth at the company’s stand. We’ve seen this system before with cycle rental apps like Pedl. While we can’t attest to its use yet, expect it to solve some mobility solutions in the city. However, Vogo is operational only in three cities at the moment: Chennai, Bangalore and Hyderabad, with plans to expand further in the upcoming years. 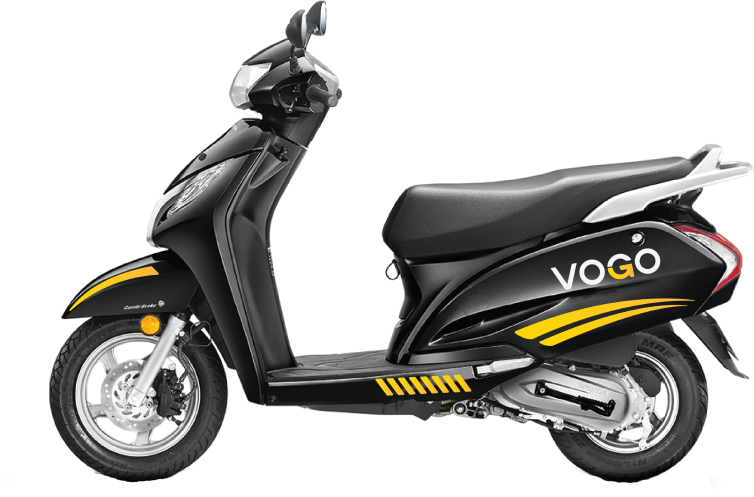 Bangalore, March 25th, 2019: India’s fastest growing scooter sharing company, Vogo Automotive today launched first-of-a-kind 1-click booking technology for its scooter sharing service. The company has launched the Bluetooth powered technology for its petrol and electric vehicles. Now Vogo customers can directly unlock and start the ignition of scooters via the click of a button on the Vogo app, making the booking experience entirely seamless, significantly ahead all OTP-based solutions which are currently available. “Vogo is first and foremost a technology company. We are delighted to launch this 1-click booking experience, which puts the Vogo ride experience on par with gold standards in micro mobility. Our large in-house team of hardware engineers has developed this from scratch. We have been delighted with the customer response so far. We will continue to work on more innovative solutions to make the ride booking experience simpler for customers.” said Sanchit Mittal, Founder & CTO, Vogo. “Our new experience leapfrogs all current solutions and reimagines what a truly seamless customer journey would look like. There is no complex interaction on the scooter anymore, just on the phone. We have received rave reviews from users and will be scaling this up across our entire scooter base in a matter of weeks. This is a truly game-changing launch for us.” says Anand Ayyadurai, CEO, Vogo. The scooter sharing company is rolling out this technology to all its scooters in Bangalore and Hyderabad a matter of weeks, starting with a launch in Bangalore’s HSR Layout.